SARASOTA (WWSB) – Crews sprung into action on Wednesday to rescue a raccoon stranded on a channel marker. Mote Marine called Sarasota Police to tell them about the stranded animal. 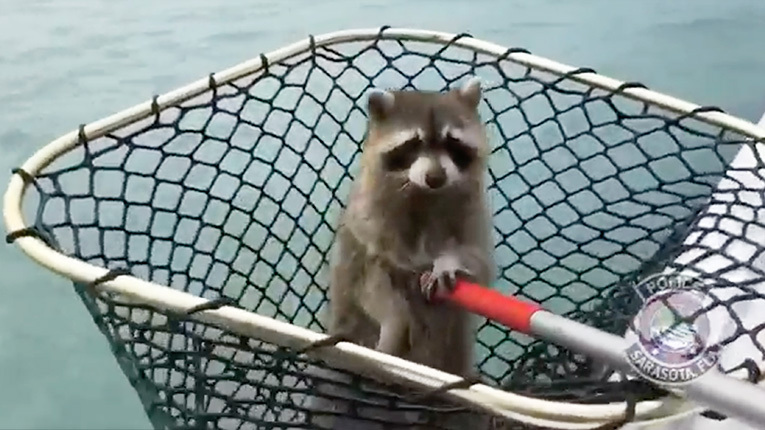 Police then called Florida Fish and Wildlife and Longboat Key Police, who used a fishing net to save the raccoon. But they actually had to rescue the raccoon twice because he went back into the water after the first rescue! But the raccoon is now safe and sound and back on land.